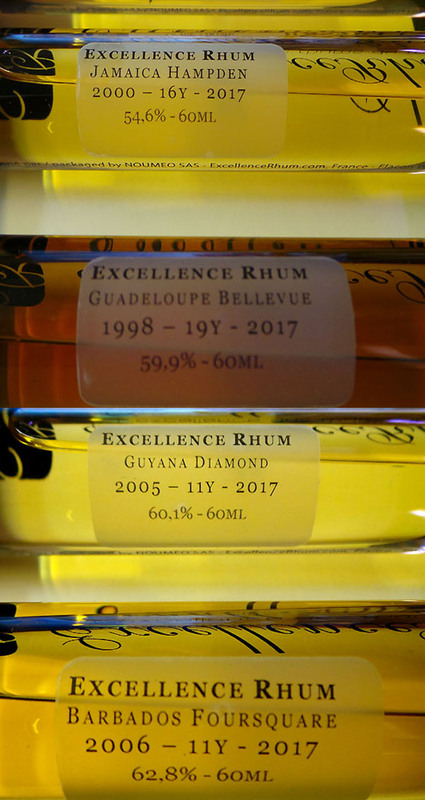 From Foursquare to Diamond, Bellevue and Hampden – Four Great Pure Rums from Excellence Rhum! I`m not gonna lie, I really really really like cask strength rums…and when I get samples like these four here it´s like Christmas for a little kid. These rums comes from four different distilleries – Hampden (Jamaica), Foursquare (Barbados), Bellevue (Guadeloupe) and Diamond (Guyana). They clock in from 54.6 to 62.8 % abv and none has any additives whatsoever, no sugar, color or anything else is added and neither are they cold filtrated, all in order to respect the rum in it´s natural state. You know you get pure rum. Will they taste good? you bet they will! But let´s first talk a little about where they are coming from and where you can purchase them. During the Paris Rhumfest, Excellence Rhum launched their own brand of rums and they are part of the Excellence Rhum Collection which every year will give out four different batch collection rums. The E-shop ExcellenceRhum.com was created in 2013 by Alexander Beudet and there´s about 1800 references of rum from all over the world to choose from. They also offer personalized advice on the rums and delivery anywhere in France under 24 hours and all around the world under 96 hours and they offer rum samples so you can try before you buy the big bottle. Now, which rums do we have here? short descriptions coming up – first up is the Guadeloupe/Bellevue – SFGB – 1998 – 18 Y – 59.9% 251 bottles, 70 cl . This is not an agricole rum/rhum agricole but a traditional rum that has been aged in bourbon casks for 19 years, both tropical and continental. The Bellevue au Moule Estate and Distillery on Guadeloupe dates back to the end of the 19th century and was established by a Mr Rimbaud from Martinique. Today the distillery is owned and run by Mr Hervé Damoiseau. The distillery is located on the Marie-Galante island and is the first distillery in the Caribbean to have committed to protecting the environment. Nose and Color – Rich lovely nose of mature wood and tropical fruits. The nose has a fruity creamy character that is very pleasant. The color is medium mahogany. Mouth – Pure pleasure…mild and dry, balanced and warming with hints of wood and spice, tropical fruits, pencil shavings, leather and raisin. Finish – Long and woody. After that excellent rum from Guadeloupe we have Jamaica/Hampden – LROK – 2000 -16 Y – 54.6% abv, 195 numbered 70 cl bottles. 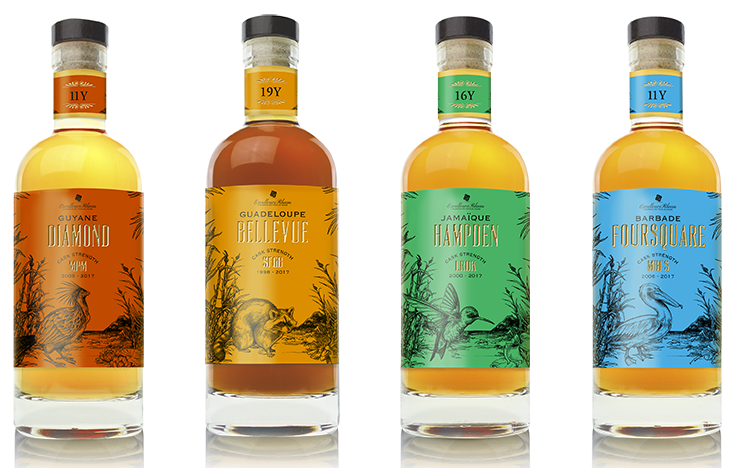 Hampden Estate is a famous distillery for ester-rich flavorful fruity and funky rums coming from long fermentation using airborne yeasts and local molasses. The estate dates back to around 1753 when it was a sugar plantation operating now since more than 250 years. Nose and Color – yellow amber, fruity nose – a whole boquet of complex tropical fruit notes and floral tones. Mouth – The taste is absolutely lovely with plenty of rich flavors of tropical fruit mash, spices and molasses. Finish – Semi-log finish with pineapple and fruit notes lingering for a while. Final thoughts – A very lovely rum with character behind those tropical fruits. Next….Foursquare….needs no presentation really. Quality and pure rums coming out of that distillery on Barbados as we know. Located in the southern countryside of Barbados, on 8 acres of a former sugar plantation, is the magnificent Foursquare Rum Distillery and Heritage Park. It`s best known for its collection of spiced rums but it produces a wide range of rums including Doorly’s and Rum 66 and have lately produced a range of cask finish rums, (Exceptional Cask Selections) and some excellent rums in collaboration with the House of Velier, which are wildly popular among rum enthusiasts. I can only see a growing market for cask-strength Foursquare rums since the number of rum enthusiasts who wish to have cask or full proof/strength rums is steadily growing and you can count me in that number. Nose and Color – Almost the same color as the Hampden, yellow amber. On the nose, apricot and banana peel, slightly woody and sweet, the nose is complex like a fine tuned orchestra. Mouth – Round and fruity with a bit of wood and spice. There´s a very pleasant aftertaste that hits you a little while after the first sip and some aeriation. 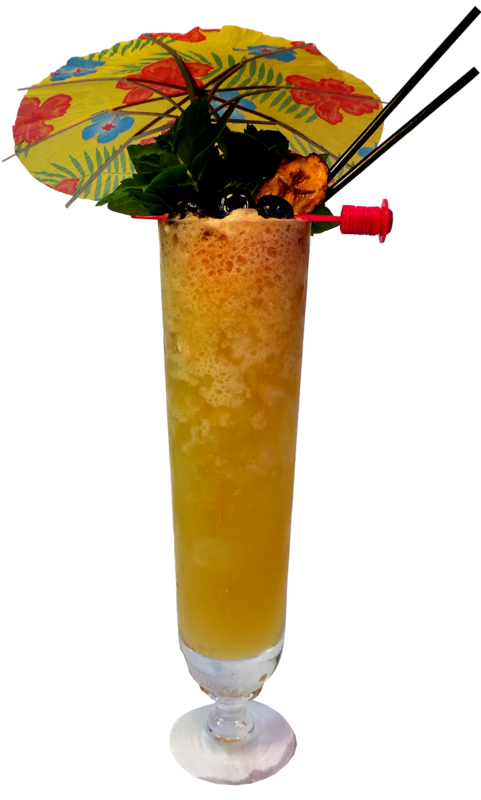 Finish – Semi long lingering fruity finish. Final thoughts – This is a very flavorful balanced rum in a refined elegant way, yet not lacking depth and character and posesses a lot of complexity and aroma. During the early 20th century all the stills were merged and they ended up finally at the Diamond Estate (which is attached to the now closed Diamond Sugar Estate) and owned by the DDL – Demerara Distillers Limited. They now are the last remaining estate on the east bank of the Demerara river. The rums from Guyana are very special indeed and this one here is no exception. Mouth – Intense, woody, fruity and dry. Very aromatic with notes of pineapple, fruits and a hint of licorice and a sort of dryish finish which I find very pleasant. Finish – Long, dry and fruity. Final thoughts – I really like the woody dryness of this rum paired with the tropical fruit notes, it´s very aromatic. Overall: All four of these rums are equally good but different in character and it´s just personal taste that will determine which one or ones you`d buy the big bottle of. Therefore I think it´s a good thing that Excellence Rhum also have samples for purchase so you can taste and try before you buy because they ain`t cheap. 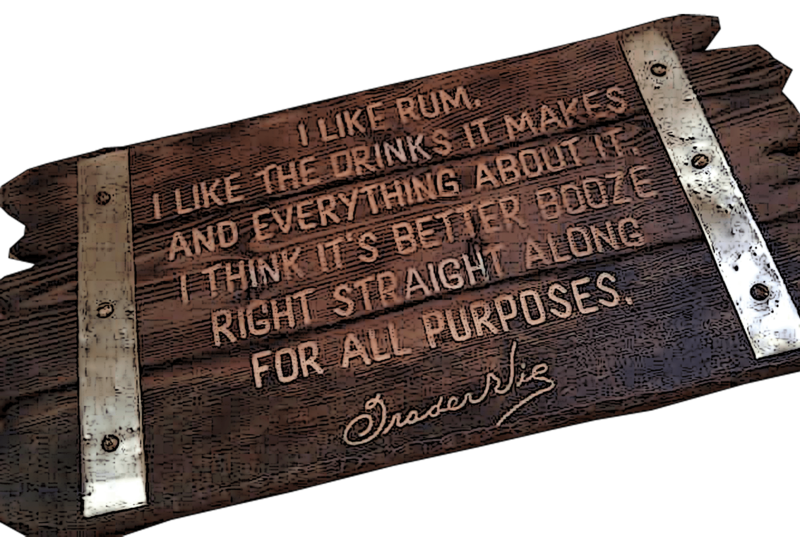 But you will definitely get unadultered quality rum for your money and a very pleasant taste experience. 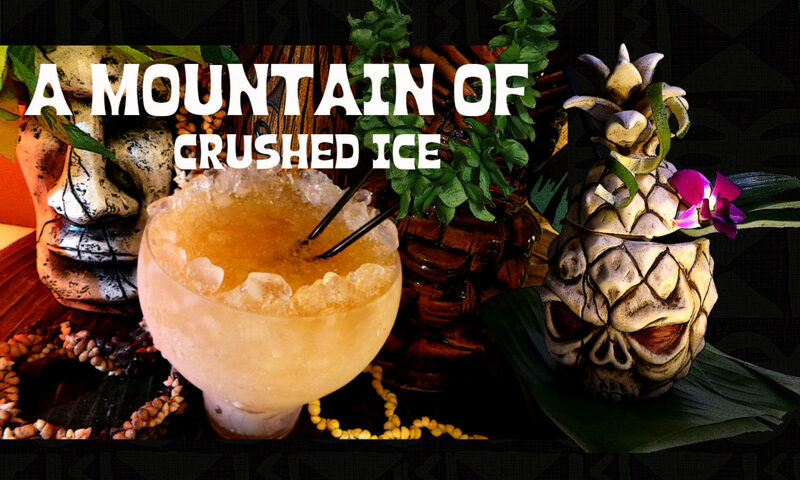 I would not use any of these in my tiki drinks or cocktails because they are such fine tuned orchestras of exquisite flavors that would be lost together with juices and stuff, plus they are expensive, so sip and savor these marvels. So which one(s) will I buy? well, a woman must have the right to keep some secrets right? 🙂 all I will say is that they are all excellent rums!